The traffic crisis is the metro isn’t just costing us billions in economy. For emergency patients, it can also cost them their lives. This can happen when emergency medical personnel and equipment are prevented from reaching their patients in time due to severe traffic situations. This is precisely what brought the Angkas Buhay concept to life. 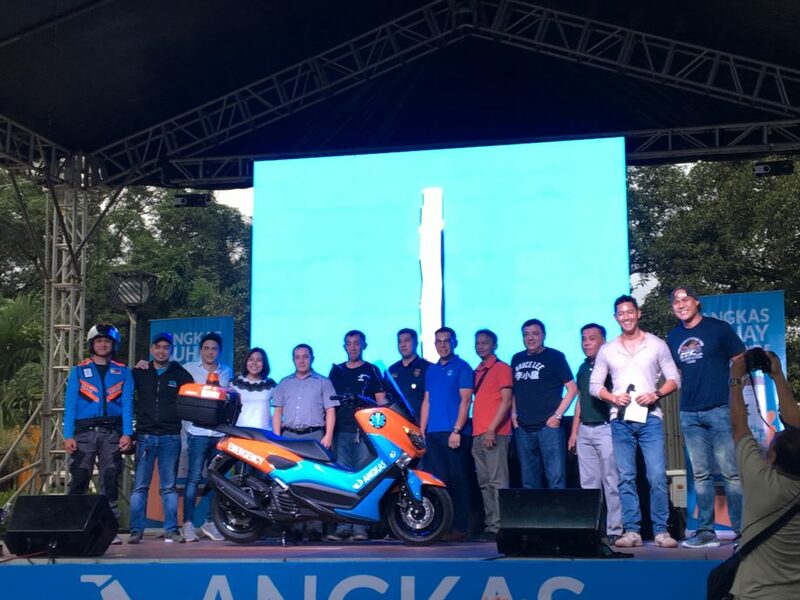 Angkas is the fastest-growing motorcycle-hailing app service in the Philippines today. 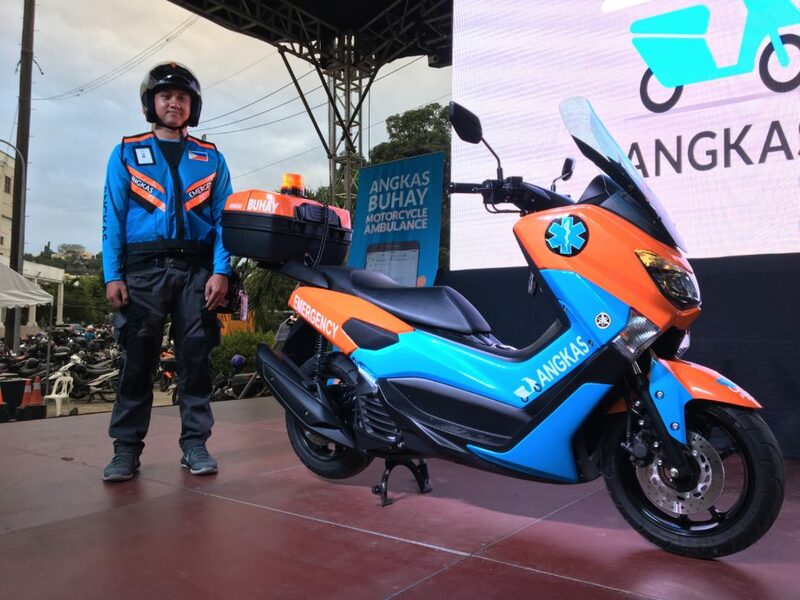 Recently, they revealed their plans for launching the very first motorcycle ambulance service in the country, the “Angkas Buhay”. The objective is to provide first aid on-the-spot for emergency cases or immediate transport of doctors to the patient. It is for this reason that Angkas is now inviting existing driver-partners and new sign-ups to join the pilot program in Metro Manila to train as volunteer paramedics. The volunteers will undergo an intensive training course for Emergency Medical Technicians (EMT – certified) drivers. This will be done in collaboration with Angkas, Our Lady of Guadalupe Colleges (OLGC), and Victor R. Potenciano Medical Center (VRP) in Mandaluyong City. Once they pass the training, the qualified EMT drivers will be ready to provide assistance in emergency situations. Trained with life-saving techniques, they will board a specially-designed “ambucycle” fitted up with medical supplies and equipment. This will enable them to stabilize patients until a secondary medical transport arrives. The Angkas Buhay is expected to go live towards the middle of 2019. The public can access it through an in-app “emergency” button to match the EMT driver in close proximity to the patient. Although the app isn’t live yet, this latest Angkas initiative is very much alive. The Angkas Buhay “ambucycle” prototype made its debut appearance during the inaugural Safety Fiesta of Angkas last November 25, 2018. It was held at the Ynares Center in Antipolo Rizal wherein an “ambucycle” prototype was put on display with a brief video trailer. A panel of speakers from Angkas and its key partners were present to give an overview of the project during the occasion. Also present in the event are Quezon City Councilor Precious Hipolito Castelo; PNP Highway Patrol Group Director, Chief Superintendent. Roberto Fajardo and NCRPO Deputy Regional Director for Administration Police Chief Superintendent Amando Clifton Empiso. Since their launch in 2017, Angkas has provided free driver education to 60,000 motorcycle drivers. They now have 20,000 qualified drivers in their fleet across three urban hubs in Metro Manila, Cebu, and Cagayan de Oro. In celebration of their first anniversary, Angkas held a grand onboarding activity for some 2,000 drivers. 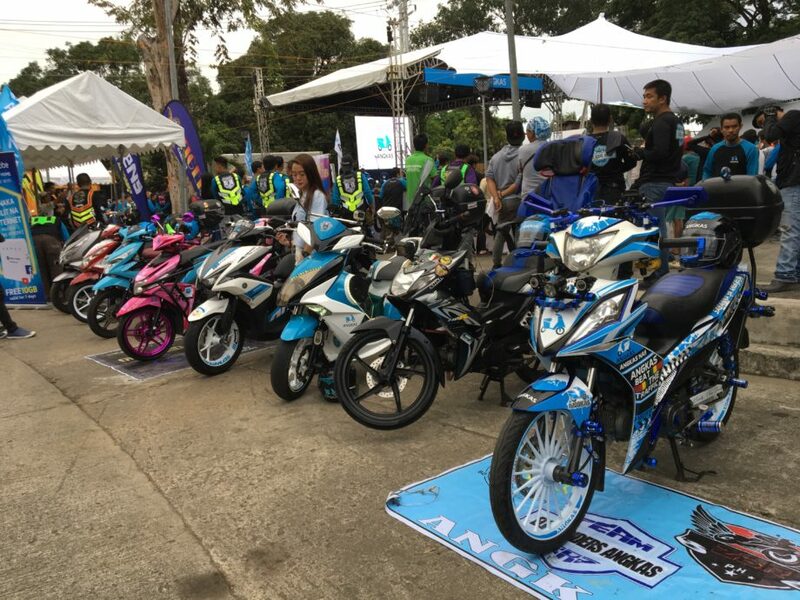 The Angkas Safety Fiesta hosted whole-day seminars for Defensive Riding, Emergency Disaster Response, Riders’ Rights, Local Traffic Rules and Regulations, and Advanced Safety. There was also a bike competition and driver talent show.